Maga (Spain) see: Samples etc. Magenta (UK) see: Samples etc. Magenta (Norway) see: Samples etc. Maggies (US) see: Samples etc. Magic Hero vs. Rock People (US) see: Samples etc. Magic Numbers (UK) see: Samples etc. Makoto "Magical Power Mako" Kurita is one of Japan's most venerated psychedelic artists, although the quality of his work apparently varies enormously, making a random purchase a decidedly hit-and-miss affair. He debuted with 1973's Magical Power while still in his late teens, a typically eclectic piece of work, veering between the mad vocal and piano gyrations of Cha Cha, the acid-rock of Flying and the offbeat balladry of lengthy closer Look Up The Sky. No two tracks are alike, making it all the more surprising that Polydor Japan released several of his albums, given the problems they must have had in selling them. I presume Mako plays the Mellotron (I presume he plays everything, actually), with a brief yet heavy strings-and-choir part on (deep breath) Open The Morning Window, The Sunshine Comes In, The Hope Of Today Is Small Bird Singing, more of the same on American Village 1973, complete with outrageous string pitchbends and the same on Look Up The Sky, with some daringly choppy choirs. Magical Power is a deeply weird album, seriously recommended to psychonauts everywhere, its Mellotron use being simply the icing on the cake. A recent CD reissue from Hagakure should make it reasonably available, too. Magik Dayze were US keyboard whizz Charles Thaxton's (now recording with his solo project Char-El) previous outfit to Galileo II, with a similar mission statement, i.e. keyboard-heavy intelligent hard rock, with a distinct Rush influence apparent, along with other US/Canadian bands of the time, notably Frank Marino's Mahogany Rush and Pat Travers. The quality of the material isn't always upheld, to be honest; Leavin' Ain't So Easy and Highway Blues are both nearer MOR than rock, but opener Mean Metal Men is fantastic, despite the title, and there's plenty of other good stuff on offer. There's also an early version of Thaxton's excellent Future Roads, re-recorded by Galileo II a few years later. As with the Galileo II CD-R, Volume 1 isn't an album as such, more a collection of demos recorded over a three-year period, available direct from Charles' website, although the sound quality on this disc is better, despite the recordings being older. There's plenty of Mellotron to be heard, mostly strings and choir, though I'm sure I heard brief bursts of both flute and brass at various points; as with Galileo II, Thaxton's use is good without being overbearing, fitting the hard rock format pretty well. It's good to hear some decent 'Tron playing in this style of music; most similar bands of the era stuck to organ and synths, if they used keys at all. I wouldn't try to claim that this is a 'classic', but there's enough good material to make a purchase worth the effort if '70s US hard rock's your bag, with a considerable bonus on the Mellotron front. 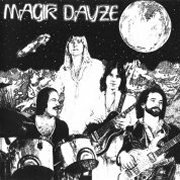 By the late '70s, Magma were moving away from their pure zeuhl stylings, with more of drummer/main man Christian Vander's first love, jazz, creeping in. Attahk is still an endearingly bonkers album, though, with the band's trademark operatic vocals, singing in their own language, Kobaïan, and two bass players (presumably needed to replace the incomparable Jannik Top), credited with 'earth bass' and 'air bass'. Magnificent, if not quite as 'out there' as earlier triumphs like Mekanïk Destruktïw Kommandöh (****½). Apart from lead vocals, drums, percussion and pianos, Vander also plays Chamberlin on one track, Dondaï (To An Eternal Love), with flutes on the intro and a short strings part near the end. I've no idea a) where he found a Chamberlin in France (the album was recorded at the infamous Chateau Herouville) and b) why a Chamberlin, not a Mellotron? We'll probably never know. Anyway, not a lot of Chamby, but a pretty good album if you're into the style. 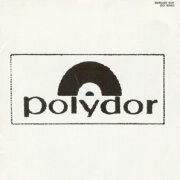 What can I tell you about a band with a name as generic as Magnet? Next to nothing, frankly; even their CD Baby page gives little away. 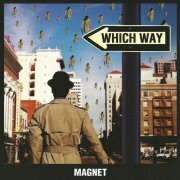 1998's Which Way EP is also entirely generic, to the point where even the band can't think of anything more exciting to call it than the meaningless 'modern rock'. I'd say it's all a bit alt.rock, but what do I know? At its best on Tree Limb and Make It, anyway. Producer Matt Wilson plays real-sounding Mellotron flutes and strings all over the opening title track, flutes and brass on Tree Limb, strings and flutes on Make It and mental, upfront brass on closer Older Woman. Given that it's all far too skronky to be sampled, it's good to hear the relatively rare brass on a modern(-ish) recording; I presume the relevant machine's tapeframe contains just these three sounds. Magnet (Norway) see: Samples etc. 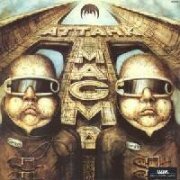 Magnetik (Czech Republic) see: Samples etc. 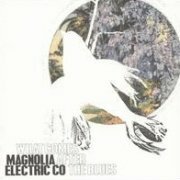 Magnolia Electric Co. are the brainchild of US singer-songwriter Jason Molina, morphing out of his previous outfit, Songs: Ohia. Amusingly, given his surname, they sound a lot like Neil Young in places (Crazy Horse member Ralph Molina is no relation), mining the same well of folk, country, blues and rock that marks Young's best work. What Comes After the Blues is their first official studio album, after a live album and the last Songs: Ohia record that named the new band. It's unusually short, to the point where I at first thought it might be an EP, although, of course, it would once have been considered merely at the shorter end of 'normal' length for something released back in the vinyl era. It combines Neil-like numbers (The Dark Don't Hide It, Leave The City) with country-influenced songs (Give Something Else Away Every Day) and sparse, acoustic material, strangely closing the record with two of the latter. Jim Grabowski plays piano and clearly genuine Mellotron, with dense cellos and high strings on Hard To Love A Man, although that seems to be it. Magnus (Belgium) see: Samples etc. Nick Magnus (UK) see: Samples etc. Henry St. Clair "Taj Mahal" Fredericks is by no means a typical black American bluesman, being a full generation younger than most of the big names and having formed his first band while at university, the attendance of which should, in the eyes of many, disqualify him from the genre altogether. Thankfully, those of a more open-minded persuasion have taken him to their hearts as a far more 'authentic' proposition than the rather anodyne Robert Cray, despite his frequent forays into other world musics, not to mention his more recent flirtations with the American mainstream. 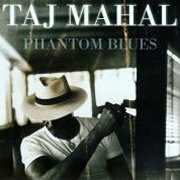 1996's Phantom Blues is still chiefly blues, funnily enough, and is apparently effectively a covers collection, though I can't say I recognise any of the titles myself. Best track? Fanning The Flames is a searing, slow blues with some killer guitar work from the man and overall, I feel the slow tracks are better, though there isn't one dog here. Unfortunately, there doesn't seem to be any of Jon Brion's credited Chamberlin, either, yet again; what is it with this instrument? Do producers want to have it in the credits for some sort of retro cool, as long as they don't have to hear the damn' thing? Anyway, a fine modern blues album, but don't expect to hear any tape-replay. 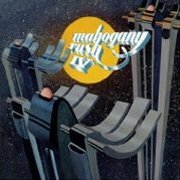 Another hard rock outfit generally ignored by the progressive fraternity (and nothing to do with Rush) are Mahogany Rush; in fact, their 'Hendrix meets the mid-'70s full on' style would be appreciated by many prog fans, particularly with regard to this album and its follow-up, World Anthem. Main man Frank Marino is known for his love of soloing, making later live albums a little hard going if you don't have the same propensity, but he keeps it in check on album, particularly his major-label work. Marino is credited on the sleeve with 'guitar, vocals, synth bass, Mellotron', and he doesn't pull any punches from the off. Album opener I'm Going Away bursts in with a series of dramatic chords, with Mellotron strings and massive synth bass to the fore. Its Begun To Rain (sic) is a lengthy Hendrix-y ballad with more 'Tron strings, cellos and flutes expertly arranged by Marino himself. Far from being a 'block chords' man, he plays the instrument almost like a string section, although he openly admits to being entirely self-taught. Final track IV... (The Emperor) opens with acoustic guitar and 'Tron strings again, before slipping into a slightly eastern-ish feel with the Mellotron fading in and out of the mix. The track finishes as it began, with the 'Tron fading to nothing at the end. The rest of the album showcases Marino's funky, bluesy take on hard rock with some superb playing and great songwriting. Even without the Mellotron element, this would be a great record, almost certainly Mahogany Rush/Marino's best. Buy. Mahoujin are one of the earliest Japanese progressive bands proper; for some reason, it took Japan nearly a decade to catch onto the style, rather than the late-'60s type psych that was still regularly being heard in the mid-'70s. They take their cue mainly from ELP, with Shiga Atsushi using many of Emerson's organ stylings and chord structures. There's actually a lot of polysynth to be heard on the album; I'd guess it's mostly Yamaha CS80, but it's rather hard to tell. The album is completely instrumental, which is probably a blessing; Japanese-language vocals don't always work that well in a progressive context, and this way the music is left to do the talking. 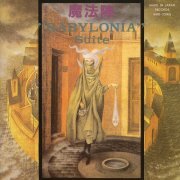 The side-long title track is probably the album's high point, with part three, New Babylon II having some really nice 'Tron string parts. They use the flutes on two of the tracks on side two, but to rather lesser effect. To sum up, a good, though not great prog album, and some reasonable Mellotron, but not particularly essential. 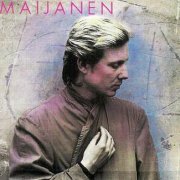 Pave Maijanen is a singer, musician and producer who's worked with Finnish legends like The Hurriganes and Wigwam, 1984's Maijanen being his second solo release. Given its recording date, it's no great surprise that it suffers from an '80s production, better tracks including a capella opener Lilja, Ruusu Ja Kirsikkapuu (a.k.a. Scarborough Fair), Suuret Sankarit's effervescent pop/rock and instrumental closer Syksy, but Finnish-language covers of Peggy Lee's Fever (Kuume), Ben E. King's Stand By Me (Jää Mun Luo) and The Turtles' Happy Together (Mikset Mua Huomaa) do him few favours. Esa Kotilainen plays his M400 on two tracks, with background strings and cellos on Kuume and drifting choirs on Syksy, but they do little to haul the album up to 'worthwhile', sadly. In fairness, I've heard worse, but this is a classic 'home market only' release. 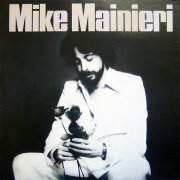 You wouldn't know it from the sleeve pic of Mike Mainieri's solo debut, 1977's Love Play, but he was (and is) a respected jazz vibraphonist and an exponent of the 'synth-vibe', an electronic version of the instrument. The album is a rather dated mix of energetic fusion workouts (Magic Carpet), rather unnecessary vocal tracks (principally Latin Lover) and 'smooth jazz' instrumentals (I'm Sorry, most of the rest), only occasionally rescued by some fiery keyboard work. Mainieri's vibes playing is top-notch, but you really have to be into the instrument to appreciate its use in this setting. Best moment? The proggish last two minutes of the near-nine-minute closing title track, when everything finally kicks into high gear. Mainieri is also an accomplished keyboard player, going by the evidence here, not least the ripping synth (MiniMoog?) solo on Magic Carpet. He adds Mellotron to three tracks, with background flutes on the cheesy Latin Lover, a flute melody line on Easy To Please and flute and string parts on Sara Smile, although Warren Bernhardt's strings on I'm Sorry are more likely to be string synth. I don't believe this is on CD, so don't go too far out of your way to obtain a copy, unless you're a vibraphone nut. Duncan Maitland (Ireland) see: Samples etc. Catherine Major (Québec) see: Samples etc. Major Parkinson (Norway) see: Samples etc. Carmen Maki & Oz: Jun Fukamachi's own M400? Carmen Maki is probably best known (at least in the West) for her 1971 collaboration with Blues Creation, later Creation, although she fronted her own band, Oz, in the mid-to late '70s. Carmen Maki & Oz is a pretty weird mixture of styles, shifting from the prog balladry of opener Poem Of June, through a couple of regular rockers to the epic balladry of Sketch Of 1 O'Clock In The Morning and the jaunty As For Me Wind (why, oh WHY do non-English speakers have this unfortunate fascination with using the word 'wind'? "Well, me back's not good and as for me wind...") Moving swiftly on... The untitled closer (or is it just untransliterated Japanese?) is another epic, this time in a hard rock/prog style, with a bit more of that balladry thrown in, making for quite a schizophrenic release. Noted Japanese synthesist Jun Fukamachi plays Mellotron, with flutes opening Poem Of June, although that seems to be your lot. The following year's Tozasareta Machi is a far better, more cohesive record, although sadly 'Tron-free, but there's a little to be heard on 1977's III. 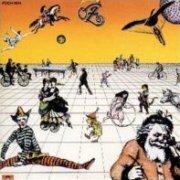 Unfortunately, the larger part of the record consists of mainstream pop or rock, from jaunty-yet-harmless opener Nankai Koro through Love Song O Utau Mae Ni's balladry, Toriaezu Rock'n'Roll's, er, rock'n'roll and 26 No Toki's budget Queen, leaving the album's runaway finest (quarter-) hour to fourteen-minute prog epic Mukashi, sounding decidedly out of place amongst its less illustrious companions. 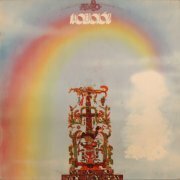 Someone, possibly Masafumi Kawasaki, plays Mellotron on the album's two best tracks, with bursts of choir and background strings on Sora E and strings and block flute chords on Mukashi, making this unlikely contender the band's top Mellotron album. 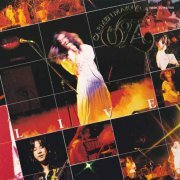 '78's Live (or possibly Last Live - it seems to get credited as both) is a live double in the grand tradition, most of its tracks drawn out versions of songs from their three studio albums. Frankly, it isn't that exciting, none of the four ten minute-plus tracks being that proggy, more their odd hard rock/prog/ballad style that wears out its welcome after a while. Masafumi Kawasaki plays keys, apparently including Mellotron, but he makes us wait for it, finally using the strings (albeit sparingly) in Tozasareta Machi, alongside the synth strings employed across most of the album, although that appears to be it. Is it hidden away elsewhere? Impossible to tell, but it seems unlikely he hauled something so bulky along only to use it for a few seconds in one track. So; all of these albums have their moments, but, III aside, they're not Mellotronic ones, so don't bother on that account. Paul "Mal Ryder" Couling was (and still is) a British singer who broke through in Italy in the '60s with The Primitives, going on to a successful solo career, mostly singing in Italian. 1971's Mighty Mighty Roly Poly is a pretty cheesy, mainstream pop effort of the day, apparently a hit in Continental Europe, if not back at home, although the flip, Nowhere Left To Play, is marginally better. An unknown studio muso plays Mellotron, with an abrasive, surprisingly high-speed flute part running through the 'A' to no obvious purpose and string swells drifting in and out of the flip. Both tracks can be found on download sites if you root around a little, but I can't imagine who, these days, would even bother, other than for the relatively unusual Mellotron use. 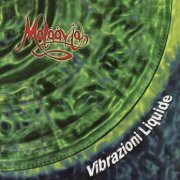 I haven't heard current Italian progsters Malaavia's 2004 debut, Danze d'Incenso, but their follow-up, 2008's Vibrazioni Liquide, contains an intriguing mix of 'typical' Italian progressive and Middle-Eastern tonalities. Unfortunately, we also get a few too many powerchords, while it's a shame about the modern keys used on several tracks, when several vintage 'boards were in the vicinity of the recording studio, but nothing's perfect, eh? Album highlights include Lakmidi, Vagando and the lengthy Stati Superiori (Suite In 5 Movimenti), but not only does nothing here offend, but the album hangs together well, despite the variety of styles the band tackle. Alfio Costa (Tilion, Daal) plays organ, MiniMoog and, of course, Mellotron, with choirs on Vagando, although the only other use is on Stati Superiori, with cellos opening the piece, followed by a string part, with more of the same and flutes on the fade on part V, Beatitudine. Malaavia still have some way to go before they produce their classic, but Vibrazioni Liquide is a good effort, taking several steps in the right direction. Curtiss Maldoon were the duo of Dave "Curtiss" Atkins and Clive "Maldoon" Skinner, who rose from the ashes of Bodast, with Steve Howe, who played on the duo's eponymous debut, now famous for the inclusion of Sepheryn, recorded by Madonna as Ray Of Light in the late '90s. 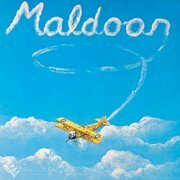 Curtiss apparently asked for his name to be removed from their second and last album, 1973's Maldoon, for reasons unknown; having not heard their debut, I can't tell you whether this clunky, fragmented record is any worse than the duo's work. It's largely a naïve singer-songwriter effort, bordering outsider art, frankly, material such as Still Feels Sore (with its horrible 'schoolgirl as grown woman' lyric), One Way Ticket and Monkerwollick being closer to the dreadful Mungo Jerry than anything on the folk spectrum. Any better tracks? Possibly Nobody Knows and closer Too Many People Going Down, which shouldn't be taken as a recommendation. Maldoon played Mellotron, with background strings on Nobody Knows, barely scraping a whole T. Sadly, Maldoon/Skinner died before the '70s were out, missing out on some serious royalties two decades later. Peter Malick Group (US) see: Samples etc. Bill Mallonee (US) see: Samples etc. Ben Mallot (US) see: Samples etc. Second-division Latin rockers (was there ever more than one band in the first division?) Malo were led by Jorge Santana, brother of the better known... They actually did a fair line in Santana copyism, if their fourth and last album, Ascención, is anything to go by, with plenty of Gregg Rolie-esque Hammond work from Ron DeMasi and the addition to the template of a three-piece brass section, along with the ubiquitous percussion. Unfortunately, the material isn't as good as Santana's, or at least as that on their first three classic albums, although the extended jamming on closer No Matter is pretty cool. DeMasi was clearly an excellent player, apart from his Hammond chops, with some typically funky clavinet work on Think About Love and a ripping vibes solo on Tiempo De Recordar. He played Mellotron strings on the rather insipid ballad Everlasting Night and the more upbeat Love Will Survive, but we're not talking anything you couldn't live without. So; passable album with a smattering of highpoints; worth picking up cheap if you already own every '70s album by Santana. Michelle Malone (US) see: Samples etc. Heather Maloney (US) see: Samples etc. If You: Larry Knechtel's Chamby, model unknown? 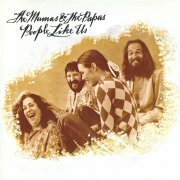 I'm sure I don't need to relate the Mamas and the Papas story, do I? 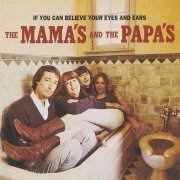 Aside from the obvious Monday, Monday and California Dreamin', highlights from their debut, 1966's If You Can Believe Your Eyes & Ears (semi-illiterately credited to 'The Mama's & the Papa's'), include Got A Feelin' and, perhaps surprisingly, Cass Elliot's lead on Dobie Gray's The 'In' Crowd, although much of the album hasn't dated well. It seems that top L.A. back-room boy Larry Knechtel played Chamberlin and, indeed, there it is on Spanish Harlem, with a rather clunky string part, although all other strings are real. We all know the hits, but few are probably aware that after their messy split, the band 'reformed' for their 1971 swansong, the contractually-obliging People Like Us, all members apparently recording separately, due to loathing each other (Christ knows how they all got together for the cover shoot). It's about as much fun as that scenario suggests; flaccid soft rock/MOR with zero soul and indifferent songwriting. Clarence McDonald is credited with Mellotron, but the only place it even might be is the strings on Shooting Star, probably under the vocals and the repeating note at the end, all heavily reverbed. Mamiffer (US) see: Samples etc. Mammoth Volume (Sweden) see: Samples etc. Man From RavCon (US) see: Samples etc. 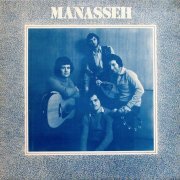 Manasseh were a British Jesus-rock crew, or rather, Jesus-folk, whose sole (? ), eponymous 1977 album is pleasant enough, if rather hokey in places, although the lyrics are (of course) best ignored. It's difficult to pinpoint any highlights, as the best the album really manages is 'harmless folk-lite', shaky harmonies an' all, while their attempts at rock'n'roll are faintly risible. Andy Kinch (11.59, Kracked Earth) plays Mellotron, with background strings on Where've You Been, more upfront ones on Joseph's Song, choirs and strings on Jesus Is The One and choirs and phased strings on Wait 'Til The Son Comes (ho ho). This is easily available as a download, but while I've heard vastly worse, I'd have trouble genuinely recommending it for anything other than its Mellotron use. 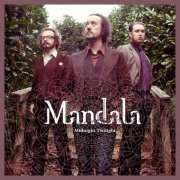 London-based trio Mandala formed in 1997, although, despite PR telling us they 'never recorded an album', they actually released two EPs in 2005, Before Memory and The Tears of a Thousand Angels, compiled into the allegedly-Mellotron-containing Before Memory full-lengther. The band split soon after, vocalist Rhys Marsh moving to Norway and a solo career, before regrouping in 2014 to (re-) record some of their back catalogue. The end result, 2015's Midnight Twilight, is a kind of indie/folk/prog crossover, for want of a better description, possibly at its best on The Dark Waltz, the dark title track and the raucous Ghizou, musical pointers including Scott Walker, Anekdoten and The Tea Party, particularly in the last-named's shared interest in Eastern instrumentation. Marsh is credited with Mellotron, but, given that this was recorded in London, rather than his Trondheim studio, I'm not convinced it's genuine. Assuming it is, we get distant strings towards the end of opener There's A Wind That Blows and more upfront ones on I Have Fallen and (briefly) on Ghizou, but it's not the heaviest use you'll ever hear, most of the album's strings being real. Like several of Marsh's projects, I blow both hot and cold on this, but the good bits are really good. Audition it on Bandcamp, says I.